Thanks to Time Warner Cable, TrustMovies' phones, TV reception and internet access were unavailable all day. They're back now, giving me a little time to do this quick reminder post. I covered GRASSROOTS three months ago when it made its all too brief theatrical debut. (You can find that post, with a complete review, here.) This movie is so important, so well-made and so entertaining that it is simply not to be missed. It covers a local election in Seattle more than a decade ago, and not only it is dramatically cogent and exciting, it lets us see politics as few movies have ever done. 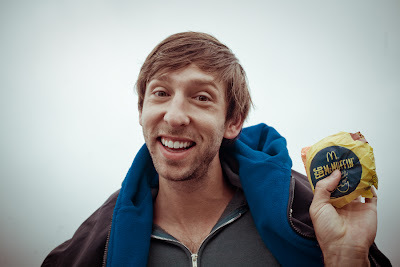 Very well directed by Stephen Gyllenhaal, it also offers an amazing, sad/funny, memorable and brilliant performance from its lead actor Joel David Moore (above). And the rest of its cast -- a very good one indeed, including Jason Biggs and Lauren Ambrose -- also delivers. The movie is now out on DVD, so rent it, buy it, share it with your friends. Just see it, please.